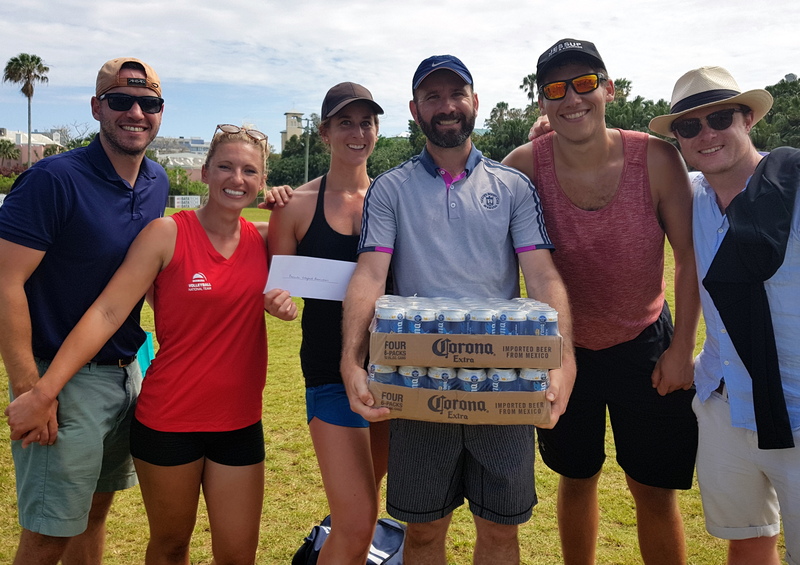 The Bermuda Volleyball Association’s 26th Annual Corporate Volleyball Tournament took place at the Bernard Park. Twenty-two teams took part and lots of fun was had by all. Special thanks to our sponsors Barritts and Corona and for all those companies that took part. The Corporate Volleyball Tournament was won by the Warwick Academy Bears, finishing in second was the JLT Net Assets, Sets on Fire (Fire Dept) finished third. The Consolation winners were PRP Performa Net Results.